For many of you, the USMLE Step 1 is quickly approaching, and over the next few months you’re likely solidifying your study strategies and trying to build up your confidence. There’s already plenty you know about Step 1: You know that of the three Step exams, it’s considered the most difficult and is the most likely to impact your medical school career, influencing your choice of specialty, the residency programs you match with and more. You also know that it requires as much mental preparation as it does dedicated study time. But even at this stage, much of Step 1 can feel like a mystery—particularly around its scoring. That, in addition to all the pressure leading up to it, can leave you feeling unsure of what to expect both on, and after, exam day. We’d like to assuage the fears and anxieties surrounding the exam by offering some clarity. The NBME chooses not to publicly disclose details on their scoring methods, but by sifting through past reports and analyses, patterns and expectations do emerge. Allow us to shed light on some of those findings with you. First, the basics: “Step 1 assesses whether you understand and can apply important concepts of the sciences basic to the practice of medicine, with special emphasis on principles and mechanisms underlying health, disease, and modes of therapy.” That’s over two years worth of material and diagnostic know-how you’ve likely covered in class by this point, and which you’ll have to review and master over the next few months. Second, some cold, hard facts concerning Step 1 scores: Scores go from 1 to 300, with 194 as passing. Most students get between 140 and 260. In 2017, 96% of the 21,353 medical students from MD programs in Canada and the US who took the exam the first time passed. That’s reassuring news, as it means you’re likely to pass the exam on your first attempt. Do I need to score high on Step 1? Doing well on Step 1 will open up many doors for you throughout your medical school career. It allows for more choice in medical specialty and will be a deciding factor in the residency programs you match into later on. But you absolutely don’t have to aim for a stratospheric score. For example, 240 is considered the “golden” score to aim for, but it’s very high and, in actuality, only the top 30% of exam takers actually achieve it. A sounder (and perhaps saner) approach to score aspirations is to take a look at the National Residency Matching Program’s (NRMP) yearly Charting Outcomes in the Match reports. These reports show the average Step 1 and Step 2 scores of students who have matched into different types of residency programs. According to their 2018 report, we can see that the actual mean of all U.S. Allopathic Seniors who matched in a residency in was actually 232.8 for Step 1 last year. Meanwhile, scores reported for Internal Medicine and General Surgery were 230 and 237, respectively. What if I score low, or fail, Step 1? Failing Step 1 or scoring low doesn’t mean you won’t graduate from your program, and it definitely doesn’t mean your medical career is over. When it comes time to apply to residency programs, just remember that your Step 1 score is just one piece of the puzzle. Now, students who fail Step 1 do have the opportunity to retake it up to five more times, but failing and retaking it does remain on your “record.” So, should it happen to you, take it as an opportunity to reflect on your career goals and course correct. Continue working hard throughout the rest of your med school years, aim to do well on the Shelf and remaining Step exams to come and build a good reputation both in the classroom and on the wards. Leon McDougle, MD, MPH, professor of family medicine and associate dean for diversity and inclusion at the Ohio State University College of Medicine in Columbus offers a hopeful message: "Work with your faculty and education specialist to increase your likelihood to pass on the second attempt…[b]e encouraged. Keep moving forward. The journey continues." How should I prepare for Step 1? Many of you will be taking Step 1 this coming spring and summer and will want to know how to achieve the highest possible score. So what’s the best way to study for it? Studying for Step 1 is a highly personal experience. What will work for you may not work for someone else and vice versa. However, you can still take inspiration and guidance from those who have already taken it. Take Ugo Udogwu, a fourth-year student we spoke to last year who generously offered her insight on her Step 1 prep. Her tips: That “it’s a marathon, not a sprint,” that you should trust your process once you’ve figured out a plan, to make sure you take advantage of “dedicated time” if your university offers it and, of course, to go through lots and lots of questions using a resource that meets all your needs (like AMBOSS). 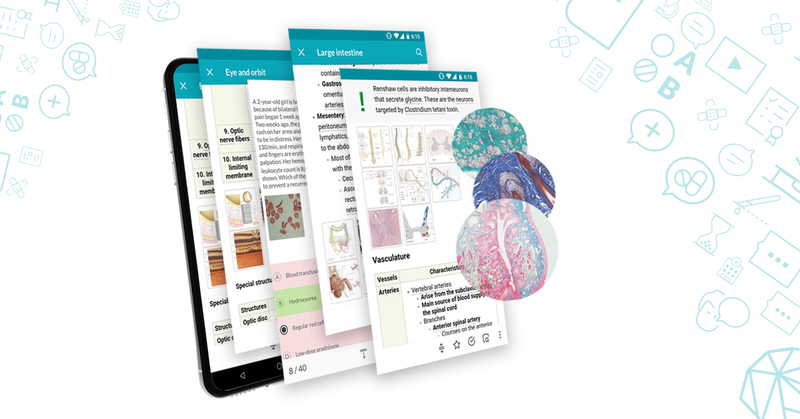 Find out if you're ready for the USMLE Step 1 exam by taking the AMBOSS USMLE Step 1 Self-Assessment, free now until April 7th! You'll receive a score report that includes your approximate 3-digit score, percentile ranking and personalized study recommendations. In short, do your due diligence; you’ll be just fine. Step 1 is a difficult and important exam, but by going in with a clear head and measured expectations, you’ll come away still feeling confident. To check out the new look of the USMLE's score report, take a look here. We’ll be delving into more Step 1 mysteries and myths over the next few weeks. Keep an eye out for more tips, tricks and encouragement on the blog soon!